The organisation that standardizes the specifications of tape storage have announced they have doubled capacity and improved transfer faster. 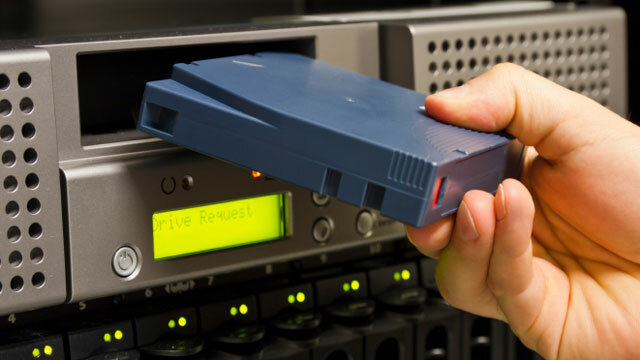 Tape is hardly used by consumers but in enterprises and data centers it’s often the first choice for backups. That’s because tape storage is cheap and reliable. Current LTO generation 6 tape storage is able to store compressed data of up to 6.25TB. The tape drive is able to achieve transfer rates of up to 400MB per second for over 1.4 TB of storage performance an hour per drive. The today announced LTO generation 7 specifications make it possible to store up to 15 TB per cartridge and large files can be transferred with speed of up to 750 MB/s. The improvements, which make it possible to store up to 2.7 TB per hour, have been achieved by doubling the read/write heads in an advanced servo format. The use of new materials has made it possible to provide stronger magnetic properties which help in increasing capacity. An extended roadmap released last year shows that there is more in the pipeline for tape. With LTO generations 8, 9 and 10 compressed capacities of 32TB for generation 8, 62.5TB for generation 9 and 120TB for generation 10 should be achieved.